The world doesn’t run on ethics. It runs on fiction. Place a guy on an imaginary border and ask him, where is he standing? On an island, away from the maddening world, a tribe used to dwell. Their means of survival were different than other civilised lots. With every passing decade, their population grew. Management of a single huge tribe became difficult, and so divisions happened. Everything was still clicking alright. Powerful men became tribe leaders. The smart people among them devised ways to reduce their hardship. They turned more efficient and started enjoying certain luxury. Subsequently, they started employing others and accumulating wealth. But, this made others jealous. And so the poor not-so-intelligent people attacked the smart traders and looted their wealth. As the population increased further, a central force was required to prevent such things from happening. Gradually, tribe developed their own economic system. Trade flourished. Smart people grew stronger, and the difference between poor and rich increased. Security of wealthy was paramount since they made the leaders rich too. As the tribe grew stronger, they faced another threat. The other tribe might attack and loot their riches. Poor had nothing to lose, and so they didn’t care. The leader talked with smart people and came up with a plan. They schooled the smarter poor and added a layer of bourgeois, who aspired to be like the richest, and had enough at stake. The threat of assault made the leader to think about building an army. But why would people put their lives at risk to save the riches of wealthy? Some who were really poor had nothing better to do than join the army, and so they did for the money was good. The fight never happened, but there was always this lingering threat. So, the leaders decided to capitalize on it. They realised that expense on raising a huge army can be more than just compensated if they kick the other tribe leaders out. The tribes could have negotiated a peaceful agreement but who likes to share power? And so a big army was raised to kick the competition out. After the battle, the leader controlled the entire island, and businessmen became richer in such expanse. A lot of people died in the battle, and that hurt poor’s moral. They didn’t want to fight any more for anyone. The rich people still knew the impending threat from other islands. But they could only try to convince the leader to invest more in the defences of the island or build their own army with their money and cause a civil war to overtake the island from their leader. On another island, a democratic regime was adopted. Although that gave more opportunity to commoners to find their own ways to the money and prevented oppressive monopoly tactics to some extent, it mimicked oligarchy. Money-makers supported leaders who favoured their vision. It became easier for rich people to manipulate the society since the government was controlled by a party which was controlled by them. The trade soared in this democratic island. Huge investments were made in defences to protect democracy. Since the world is ruled by good and bad investments, the island started trading arms and ammunition to recover the costs. On every island, it seemed like the smart guys had already divided poor in the name of religion, skin colour, nationality to build their own army. The arms trade had to boom. People killed people for the beliefs, they were led to believe. The smart guys knew that as long as soldiers believed that they were fighting a good fight and took pride in what they do, they can be used as pawns anywhere. An army meant power, an individual soldier was always a dispensable asset. 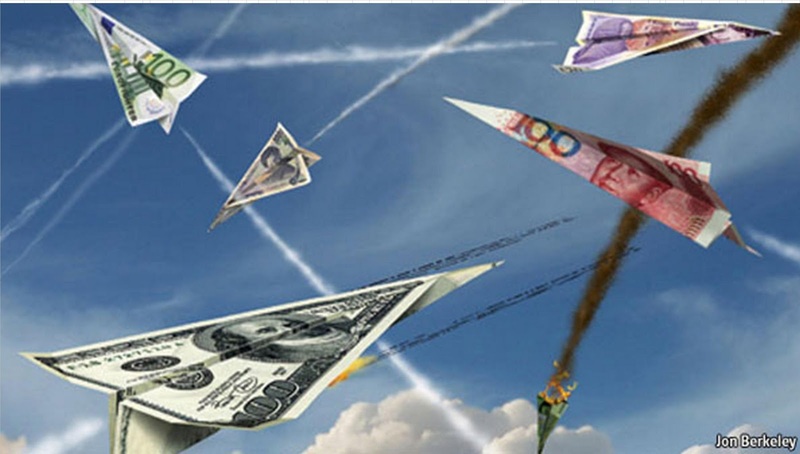 The current Global Military Expenditure is 1.68 trillion dollars. And then there are illegitimately run companies which provide arms and ammunition around the world. Demand can be created. Pawns don’t rule. They die everywhere, gloriously, believing in their cause. Tagged Arms Race, Democracy, Humans, Oligarchy. Bookmark the permalink.